The story of Colonel Charles Young’s service, sacrifice, and disappointment at not leading African American Troops in France during World War I has been well documented. Unfortunately, his story was not unique; large numbers of African American World War I officers were systematically denied or pushed out of leadership positions. 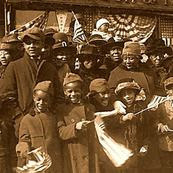 World War I was fought during the backdrop of Jim Crow and in a blatantly racist America. Click here to read more about the impact that the destruction of the African American Officer Corps had on African American World War I soldiers and their service. 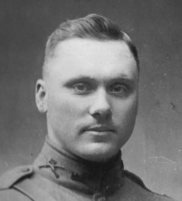 Captain Ely Miller is an American World War I aviation hero whose story of valor and sacrifice is truly unique. He posthumously received the very first Distinguished Flying Cross (DFC) ever being presented to a recipient from World War I, for which the award was originally intended. Additionally, Miller, by his sacrifice, became the first U.S. airman, eligible for the Purple Heart, to die in air-to-air combat against any enemy, while serving in the Armed Forces of the United States. Captain Miller lost his life in the worldwide fight for humanity and civilization. He unhesitatingly and fearlessly exposed himself to enemy planes and heroically volunteered his efforts to defend this great nation. Click here to read Captain Ely Miller’s entire story. 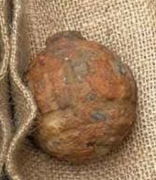 Speaking of how World War I is still reaching out to touch us today: A WWI German hand grenade turned up unexpectedly at a potato chip factory at an industrial estate in Hong Kong last week, thought to have originated in France before being shipped to the factory. It was reportedly coated with mud when it was obtained by law enforcement, leading them to believe it may have been buried in a potato field and mistakenly included in the shipment. Click here to read more about this unwelcome visitor from 100 years ago, and see video of its explosive disposition. Did you know that troops of the American Expeditionary Force (AEF) continued fighting long after the 11 Nov 2018 Armistice? They did so, as part of the AEF’s incursion to Russia. Did you know that there were actually TWO American incursions into Russia? They were separated by thousands of miles, as well as a significantly different mission. There was a 5,000-member force (the Polar Bears) sent to Archangel, in North Russia, as part of a multi-nation Allied combat/stabilization force. Separately, there was also a 3,000 member AEF force (the Wolfhounds) sent to Vladivostok, in far eastern Siberia, to take control of war stockpiles that were originally sent from America, and to protect the trans-Siberian railway. Click here to read more about this fascinating but often overlooked sideshow for Doughboys in WWI. For its 17th annual Black History Month Lecture, Virginia Commonwealth University Libraries is featuring a statement from an essay by W. E. B. Du Bois about black veterans returning from World War I. He wrote “We return. We return from fighting. We return fighting.” The program will feature a conversation-style panel of experts who will offer insight into the experiences of African-American veterans. Click here to read more about this program at Virginia Commonwealth University. During the First World War, the Surgeon General received numerous pitches for miraculous cures for sick and wounded American soldiers. Ranging from anti-sea sickness remedies to complex elixirs for treating diseases like tuberculosis and venereal disease, America’s “quack” and non-traditional medical practitioners sought a seat at the table. Serving as a barrier between established medical practices and non-professionally tested “cures,” the Army Medical Department and the Surgeon General worked to shield vulnerable ill soldiers from the potential dangers of the medically unknown. Yet, at the same time, the military debated allowing the use of osteopaths in the ranks and used alternative medical techniques like hydrotherapy and essential oils for wound rehabilitation. Click here to read more about the U.S. Army’s turbulent First World War relationship with alternative medicine. The American Battle Monuments Commission (ABMC) has released its World War I Battlefield Companion in digital format. 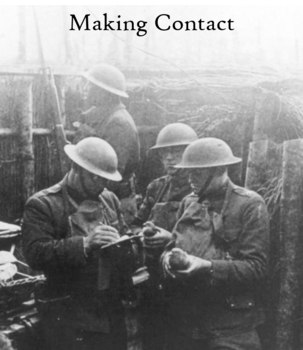 Free to download, this book serves as a guide for visitors to Europe who want to learn more about American involvement in World War I, and see the geographic locations where major events occurred. From ABMC cemeteries and memorials, to private monuments large and small, more than 50 different stops are highlighted. This book, grounded in history but seen through a 21st century lens, includes colorful driving maps with directions that point readers to precise World War I locations. Click here to find our more about this new digital version of an essential guide to those visiting WWI sites. On January 25th’s edition of the WWI Centennial News Podcast, Episode 107, host Theo Mayer had a chance to chat with National WWI Memorial sculptor Sabin Howard as he was getting ready to jump on a plane for the UK to launch the next step, scaling up his one-sixth size maquette. Sabin was off to visit one of the only foundries in the world that will be able to cast the full size sculpture. Click here to read the entire transcript as Sabin caught us up on the technical progress of the sculpture itself and reflected on the process of 21st-century, technology-assisted sculpting. On January 25th’s edition of the WWI Centennial News Podcast, Episode 107, host Theo Mayer spoke with Dr. Cathy Gorn, the Executive Director of National History Day, and an Adjunct Professor of History at the University of Maryland at College Park. 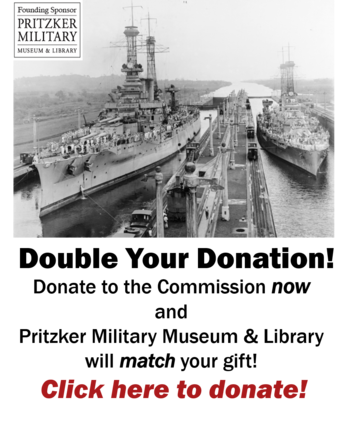 Click here to read a transcript of the entire interview as Dr. Gorn talks about NHD, how it engages students on the subject of WWI, and the importance of history education generally. 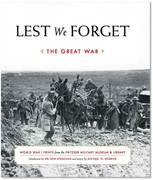 Writers of words but also writers of musical notes make up the rich cultural heritage of WWI. This week at WWrite, we ask: where did the great music we call jazz actually come from? And when did our military bands become ambassadors of American goodwill performing this music across the globe? The often-told story is that Jazz migrated up from New Orleans when the US entered WWI and after the Navy shut down the fabled Storyville district. But, according to James Lamb, former Music Director/Conductor of New York’s Great American Songbook Orchestra and Naval Musician, jazz’s story runs much deeper and he traces its spread over 30 years in cities all over the country. Beginning with James Reese Europe and the 369th Harlem Hellfighters, Lamb gives a sharp rundown of five bands from WWI African American regiments that changed the face of American music forever. Read the incredible story of these bands at WWrite this week! “Lest We Forget: The Great War”is a great way for you to help build America’s National World War I Memorial, in Washington DC. At the same time, you get to enjoy a very special, colorful, inspiring and lasting souvenir of the centennial! The book features nearly 350 high-quality images, an introduction by Sir Hew Strachan and text by historian Michael W. Robbins. The project is dedicated to the Centennial and produced by The Pritzker Military Museum and Library along with the WW1 Centennial Commission. Importantly, when you get this visual remembrance of the “War that Changed The World” – a full ½ of the proceeds go to building the Memorial! 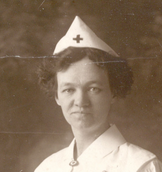 Historian, author, and tour guide Ed Lengel has written an article about Sarah Sand (above), who was Director of Nursing at Evangelical Hospital in Bismarck, North Dakota when the United States entered World War I. Like many other nurses, she immediately volunteered for service overseas. After extensive training at Camp Jackson, South Carolina, Sand departed the United States in September, 1918. She arrived at the front in time to help care for the massive wave of perhaps 100,000 casualties resulting from the Meuse-Argonne offensive. Her life would never be the same again. Click here to read the detailed story of how her experiences in WWI changed her future. Archie Henry Thomas born around 1885. Archie Thomas served in World War 1 with the United States Army. The enlistment was in 1909 and the service was completed in 1925. Between April and September 1916, Archie was stationed on the Mexican border in California with the Oregon Third Infantry Regiment, Company I during the Mexican Border War. His regiment was activated into federal service after Pancho Villa’s raid in Columbus, New Mexico. While on the border, Archie was promoted to Corporal in July 1916 and he was promoted to Sergeant before his return to Oregon in September. This was an era in which the U.S.-Mexico border was perceived as a potential location for a German-funded invasion by Mexico. Border service went into effect when this threat was exposed by the British interception of the Zimmerman Telegram. This message discussed Germany’s alliance proposal for Mexico if the U.S. entered the European war against Germany. The onset of American involvement in World War I prompted all National Guard regiments to reactivate under federal service. This activation included the Oregon Third Infantry Regiment in March 1917. In July 1917, the unit was mustered at Camp Withycombe, Oregon and transferred to Camp Greene, North Carolina for training. Read Archie Henry Thomas’ entire Story of Service here. 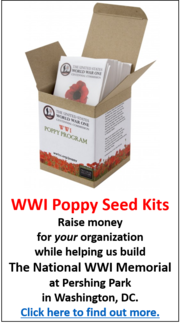 This entry was posted in World War One Centennial Commission and tagged World War One Centennial Commission on February 5, 2019 by Michael K. Barbour.